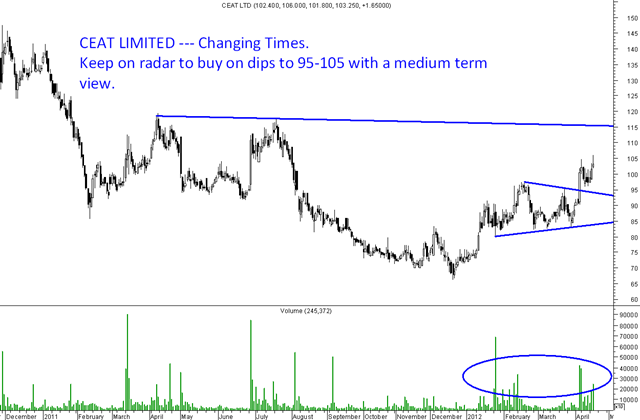 Ceat Limited --- Headed to 115/130 over the medium term. Buy in dips to 95-105. Disclosure: Buy given to clients at 95 and booking some at 110-115 to re-enter on dips. Oulook very positive. 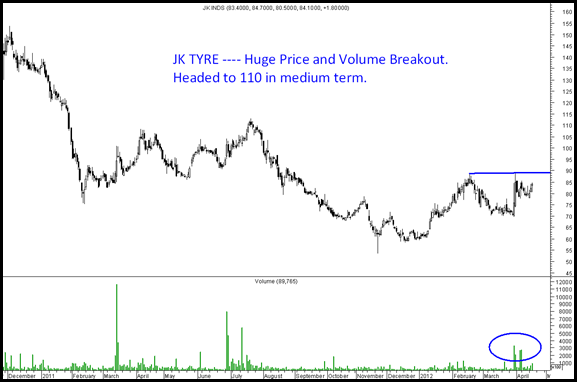 JK Tyres --- Another tyre stock which has seen good accumulation. Long time you haven’t given your views on Gold. Is it right time to buy or wait for some dips? You have amazing picks. 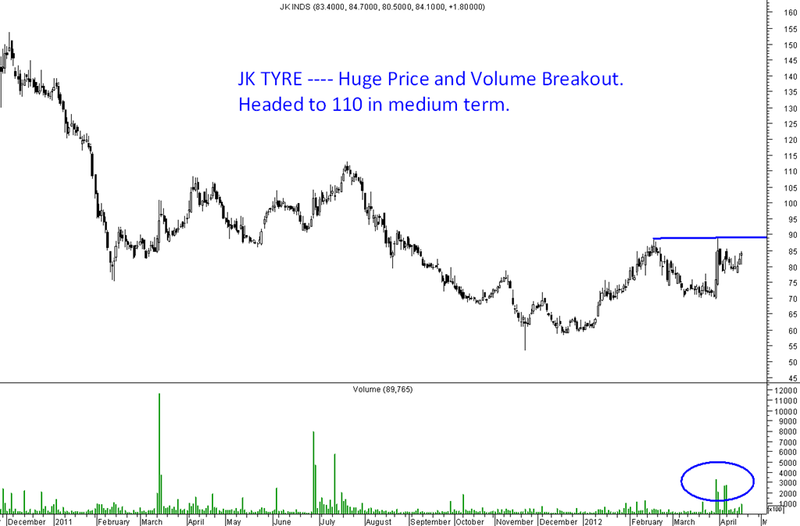 The JK Tyre was consolidating in 70-85 levels and seems to have broken out. What do you expect long term price for it as the tyre stocks have been down since last 2 years. Also I wanted to get your view on EASUN REYROLLE as I have been adding lot of qty since last year. Seems like a good buy, if you follow. Yes tyre stocks look interesting. Hi, I like your recomendations. In that I like Adity Birla Nuvo. I want to buy again what price I can buy again, can buy for long term also. Tell me about Glenmark Pharma also. Can I buy for shory term and long term also. how much downward risk in both stock so I can keep on buying till what price if it goes down. Aditya Birla Nuvo one should now keep buying at regular intervals instead of waiting for a correct price as technically it has tested its previous resistances of 970-1000. So difficult to say whether it goes to 900-950 first or 1100 first. Glenmark would be more with a trading view.